As an avid sportsman, I have always had a passion for Alaska. The operation that Alaska River Wild Adventures runs is first class in every way. Hard working and knowledgeable guides, clean well organized camp with fantastic food and all of this located in the most spectacular sheep rich setting in Alaska. I can’t wait to get back there again but for now thank you for a lifetime of amazing memories. Alaska’s River Wild puts on an impressive guided hunt. From the moment that I arrived at the airstrip, I was very well taken care of. The hunting area is incredible and it is pure luxury to come back to a warm cabin after a full day of sheep hunting. My hunt culminated in shooting a Dall sheep on my birthday at 30 yards! Truly an incredible experience!!! Alaska's River Wild, I just want you to know how much I enjoyed my hunt and say thanks, Spencer and Jon continually put us on sheep, what an incredible hunt! It is one of my all-time favorite hunts and I can’t wait for another 3 years to pass so we can get back on them. Both myself and Serenity would like to thank Alaska's River Wild for an adventure of a lifetime. From the moment we arrived we were taken care of very well from the accommodations at all your camps to the food, it was “Great” especially for a back country sheep hunt. We started out sheep hunting which we were successful on day 9 and then on to moose camp where we saw plenty of game. All and all... it was very special for us and we will defiantly be coming back in the near future." My Dall sheep and Black Bear hunt with Alaska's River Wild was truly an incredible experience! I had the time of my life and everything was amazing. The camps and food were first class. The guides were amazing and knowledgeable and really know the area. I got a beautiful Dall sheep, and a great Black Bear. I would recommend this great outfit to anyone who wants a first class Dall Sheep hunt. The country is breathtaking and beautiful! I loved it so much, that I'm taking my daughter to hunt a Dall sheep for her graduation present from high school. My wife is even coming to camp just to see the amazing setting and pure beauty. Seth, the owner is outstanding. As well as, the amazing guides (Spencer and Jon). 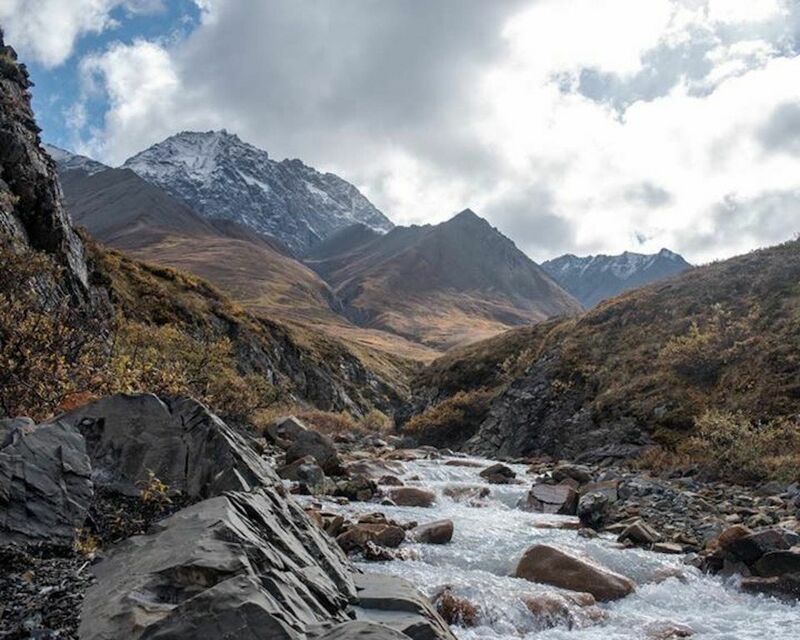 It's a great place to hunt Dall sheep and a wonderful overall experience. I highly recommend Alaska River Wild!